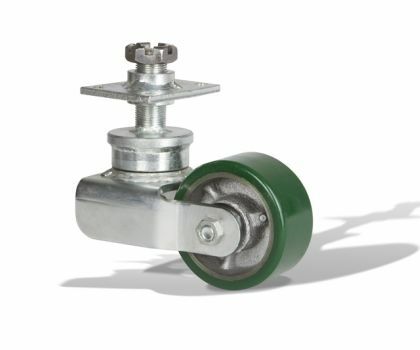 Ross Design™ also offers bottom adjustable casters in the 0 series size. 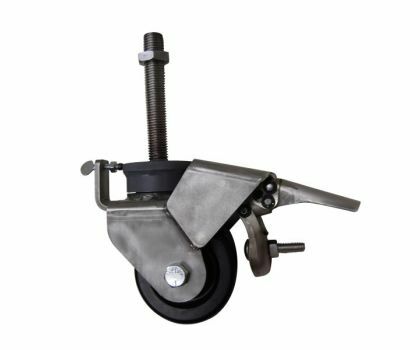 The 0 series caster offers up to 2,400 lbs of capacity per unit while still offering height adjustment, brake, and locking options. Adjustments are made easily accessible by the patented bottom adjust locking mechanism. After the adjustment is made, the locking mechanism is secured to lock the desired height into place. 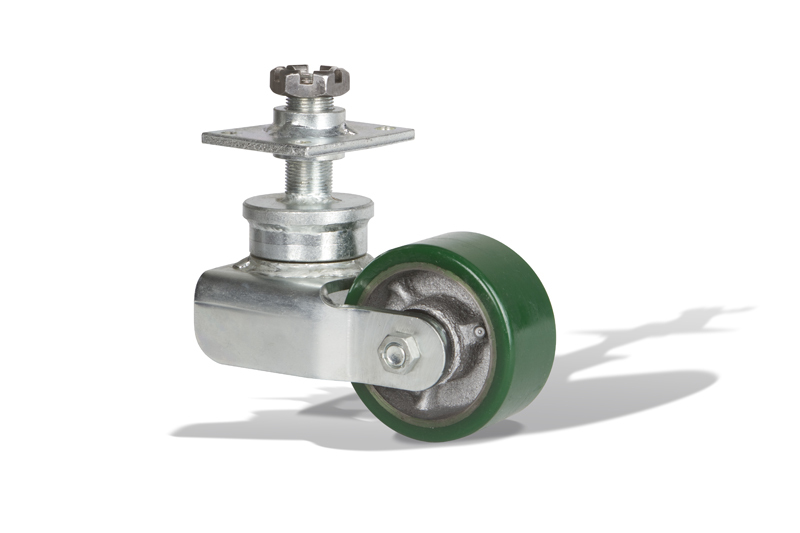 The 0 series bottom adjust caster is also available in the standard and lowered wheel frame to achieve desired lowered heights.